A message from protocolofbrain.bid which is obviously a scammer domain and the message is titled “End Blood Sugar Worries immediately”. So, it’s about diabetes which is a very popular subject with scammers. It’s an easy one to invent some rubbish about a miraculous cure that the doctors don’t know about but can be available to you now (if you pay lots of money of course). In fact, the story starts off about a fish. 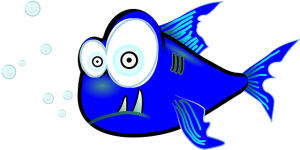 Being written by a scammer it has to be a weird fish as almost all of these fake remedies have a ‘weird’ trick ‘or ‘weird’ exercise or ‘weird’ ingredient etc. So, it’s a weird fish that has been deemed a hero. We’d better have a parade to celebrate this weird fish. The fish in question apparently was seen eating a deep-sea seaweed that p;roved to be the secret to stabilising blood sugar but that alone is not enough – it’s also the fountain of youth. I think someone has been watching too many Indiana Jones movies. The nameless company working on this, has already spent $39,000,000 testing and re-testing the product. Strange that there’s been no news on the TV or mainstream news outlets about this discovery – just tacky pathetic emails to random people. Any genuine science would be published in the relevant professional journal – but that hasn’t happened. The last paragraph in the email is a warning that there’s very little of this product in the USA so you have to act fast. No thanks – I can take it slow as you have no product, just an over-active imagination and are a greedy, lying, cheating thief.